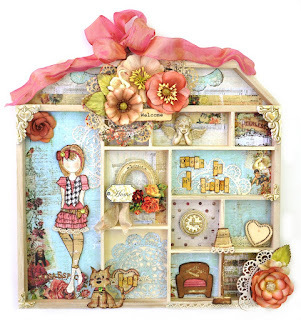 Julie Nutting Designs: Meet My New Design Team! Meet My New Design Team! Her card designs swept me off my feet. 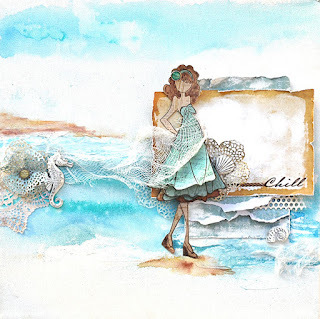 I fell instantly in love with her use of my Belle Vie paper collection from Photo Play Paper. Elegant but not overdone. Perfect in composition...I could just eat these! 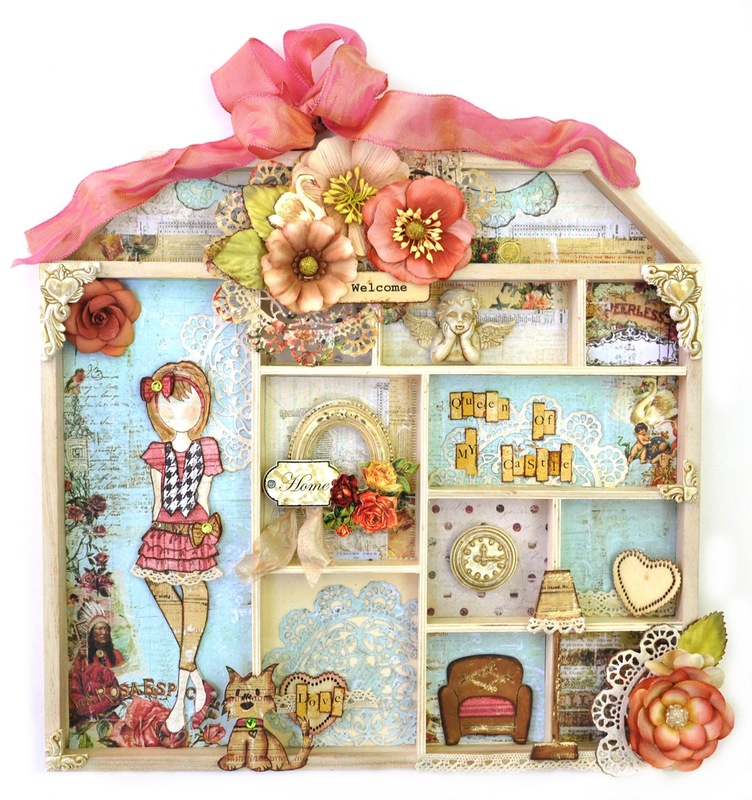 She's on several other design teams including Graphic 45 and Sizzix. How lucky am I? I look forward to her designs and can't wait to see her entrance into my paper doll world! Doreen's tags are exquisite. Her color combos and that jar of pearls just captured my heart. She practically lives next door and told me she took a class with me years ago, pre-stamps! She has and continues to teach in our local stores. I am looking forward to many future creative meetings with her and can't wait to see her new designs! Last but certainly not least, Jennifer. She captured my heart a few years ago while she was on the Prima Design Team. Not only is her talent and creativity undeniable, but she is everybody's cheerleader and my biggest. She posts the most encouraging comments on Facebook and well, just makes everyone feel so good. I love the simplicity of her layout and the incredible details she puts forth in every project, the draping of the net, the curling of the waves and of course the layering of the dress. I may have paper pieced and layered something pretty under the dresses but she was the master inventor of the type of layering you see here. I am so excited to have her on the team! Oh, did I forget to mention her sense of humor? You will just have to wait and see! Stay tuned for some wonderful stuff coming from these 3! I've loved everything I've seen Jennifer Olek-Snyder post; and I am sure I've seen the others' work, too...in fact, that FB group has a lot of AMAZING ladies that do wonderful work! I get creative ideas just looking at their work...mine isn't quite as amazing, but I am certainly learning from them!!! Thanks Julie - wow you make me tear up. I look forward to working with my teammates - and all your sweet products. Thanks Jen - you always say the kindest things. Congratulations ladies!! I just started creating with these dolls and I just love every one of them!! I had intended to enter my work for this DT but was unable due to being in a car accident. I will definitely be on the lookout for your next DT call Julie! I hope you are healing up Jenn. I am sorry about the car accident. That is traumatic. Lots of healing hugs being sent. Looking forward to seeing creations from your new team! And your exquisite description of Jennifer is perfect! She has inspired and encouraged me from the first post at SB.com, and I have learned so much from her tutorials! And funny..oh my goodness... I couldn't stop laughing when reading the JN doll shaker card tutorial on her blog! Great tutorial and so much fun to read! She is so down to earth and soooo talented! So happy too see that she is part of this team! Thanks Donna - I love ya back. dang Mary.....Thanks for your sweetness. Thank you for all the kind words and encouragement, and a BIG Thank you to Julie for giving me this opportunity, it's a craft I deeply love and enjoy, making beautiful creations is the best. Congrats to you all... I look forward to your creations with Julie's dolls. I love them all and have been a fan and a collector from the beginning (I have them all)... Thank you Julie for coming out with these stamps that are so much fun to play with. Jen Snyder has always been one of my favorite designers. Great choice! Dear Anonymous....thank you for being one of my biggest fans... I value you....even in your anonymity I still love you. Love, love, love Julie's paper dolls! It's so much fun making them and dressing them. Love what you've done with the "girls"!